Peter Mayer writes songs for a small planet—songs about interconnectedness and the human journey; songs about the beauty and the mystery of the world. Whimsical, humorous, and profound, his music takes you up mountains, across oceans, into space, and back home again. A native of Minnesota with a background in Theology, Peter is not big on love songs, but prefers delving into science, nature, and things spiritual. Peter started touring full-time in 1995 and has gradually amassed a dedicated, word-of-mouth following, selling out shows from Minnesota to Texas, New England to Colorado. He has six CDs to his credit, and has sold over 40,000 of them independently. His accolades include numerous nominations for Minnesota Music Awards, and selections as a finalist in several songwriting competitions including Telluride and the Rocky Mountain Folksfest, where he has been invited back to perform and teach songwriting at the highly regarded Rocky Mountain Song school. This is his third appearance at the Fredericksburg Songwriters’ Showcase where he is a favorite of the audience and of the show’s organizers. Visit his Web site at http://www.blueboat.net. His first album, Uncrowded Sky, was released in 1993 and was nominated for Best Folk Album of the year by the Minnesota Music Academy and named by the Minneapolis Star Tribune as one of the year's "Releases that Stood Out". Building on the success of Uncrowded Sky, Peter released Straw House Down in 1995, which received impressive reviews by both critics and audiences. After independently selling thousands of CDs, Peter was signed to independent record label Silent Planet Records, which released Bountiful in October 1997. Bountiful has been featured on Public Radio, AAA, and Americana radio stations across the country, and received positive reviews in national and local publications, as well as a nomination for Best Folk Album by the Minnesota Music Academy. In 1999, Peter continued his nonstop touring, while still finding time to record another CD, Million Year Mind, which features crowd favorites "Brand New Harley" and "Magic Beans", as well as "Africa" and "Holy Now". As with Bountiful, Million Year Mind was featured extensively on Public Radio and folk-oriented radio. The progress continued through 2000 and 2001, during which Peter performed in lots of new locations, and his fan base grew dramatically. 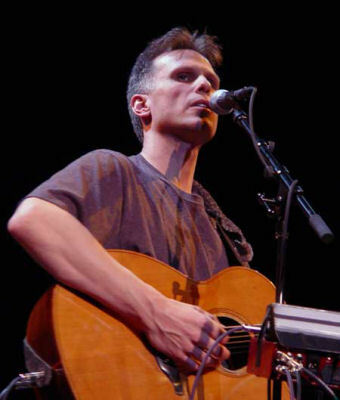 In November 2001, Peter released a live CD, entitled Elements, and gave a great performance at his CD Release Show at the Historic State Theatre in Minneapolis. In Spring 2002, Peter is back on the road, performing at venues across the country and beginning work on a new studio CD.